Multi-disciplinary festival, me Convention, took place last month, uniting artists, musicians and tech experts alike, fervently focussed on the future. Presented by Mercedes-Benz and SXSW, last year’s me Convention was all about walking the tightrope between past and future. Why this balancing act needs quite a lot of “Lagom” was laid out by Dieter Zetsche, Head of Mercedes-Benz Cars. When Britta Seeger, Member of the Management Board at Daimler, claims that we should all get a clear vision of what our future will look like, she – quite surely – does not picture herself shaking hands with an alien colleague at work. However, she does refer to AI, Deep Learning and the Internet of Things, as these technologies are no longer part of a future that can hardly be envisioned correctly, but are just at the brink of becoming part of our daily lives. This gap between past and future that sometimes tends to get so narrow that it even becomes hard to differentiate between something long gone and something that is yet to come, was were the second me Convention took place. Of course, this is only meant in a metaphorical way, since 2000 guests, 100 speakers, 500 litres of coffee and 600 packs of Smörrebröd wouldn’t have fitted into this small gap to discuss not only what our future will look like, but also what our future should look like, so that everyone can live a balanced and peaceful life. 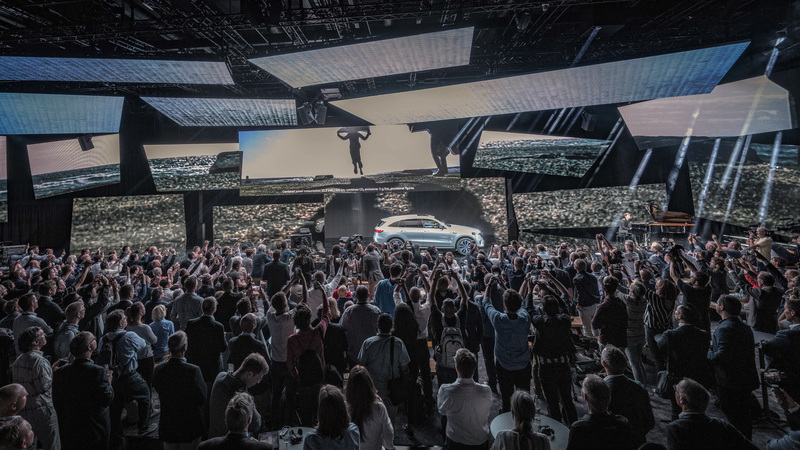 The convention, hosted and organised by Mercedes-Benz and South by Southwest (SXSW), once again aimed to be an open and inspiring platform that invites creatives from all different branches to tackle a big question that need more answers than just one. For that reason, musicians, such as Björn Ulvaeus, founding member of the band ABBA, hacker and tech-magician Tom London, wildlife-expert Alexandra Weyrich and many more came together at the me Convention in Stockholm to bring their very own expertise into the discussion about future visions. 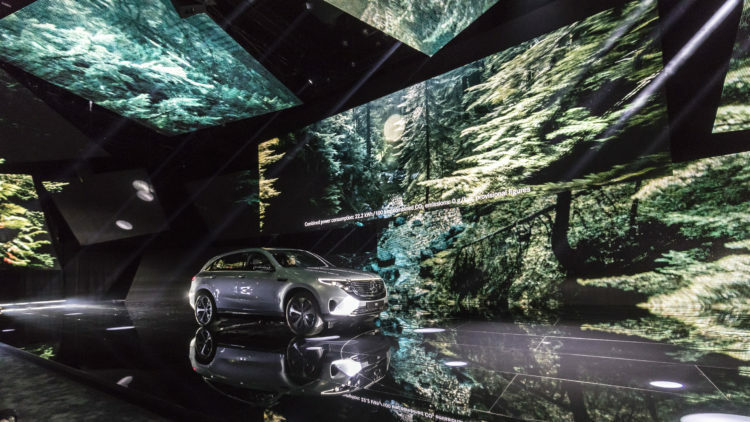 A quite precise vision about the future of the automobile could be found in Dieter Zetsche’s presentation of the all-new Mercedes-Benz EQC, the first fully-electric SUV ever developed by the German company. It was the first time the EQC has been shown to an official audience and presumably also the first time many of the international guests ever heard the word “Lagom”. As Zetsche explained during his presentation, the Swedish word “Lagom” stands for an ideal state of balance that should should not only bring together work and life, but also past, present and future. As everyone sometimes needs help maintaining this ideal state of staying in a place that creates comfort without automatically becoming an all too cozy comfort zone that lends itself for extended periods of hibernation, the EQC was developed. Features like voice recognition and gesture control make the car adjust to the preferences of its current driver. And again – it is all about balance, a condition that so many individuals are trying to pursue with such great haste and agitation that they cannot even reach it by sitting in the middle of a room that is entirely covered in joss sticks and yoga mats. If Mark Adams, Head of Innovation at Vice Media, who did the convention’s very last talk, is right in saying that we are all way too tired to keep up with all the technological progress, we should probably just stop for a moment and invite all our friends to stay with us in this quite narrow space right in-between past and future. Of course, this space has been defined may times before before – not only by grammar experts who gave it the name “present tense”, but also by Hollywood screenwriters and many others. It is the present moment that everyone is constantly reminded of to enjoy more, but maybe it is about time to have a different take on it – one that creates balance instead of stress, one that replaces “YOLO” with a simple “Lagom”.